Complex aromas of black currant, grapefruit, floral. Persistent finish with an emphasis on the acids. The small compact bunches of grapes are hand-picked in late September and processed carefully. 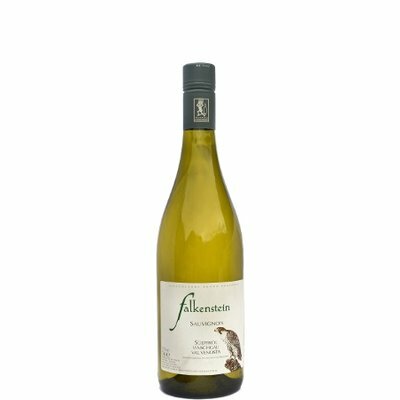 Like other white wines from Falkenstein Sauvignon is fermented in large acacia wood casks and then he stays 10 months in the wild yeasts. After bottling at the beginning of summer, the wine is aged for another six months in the cellar to fully develop his character.